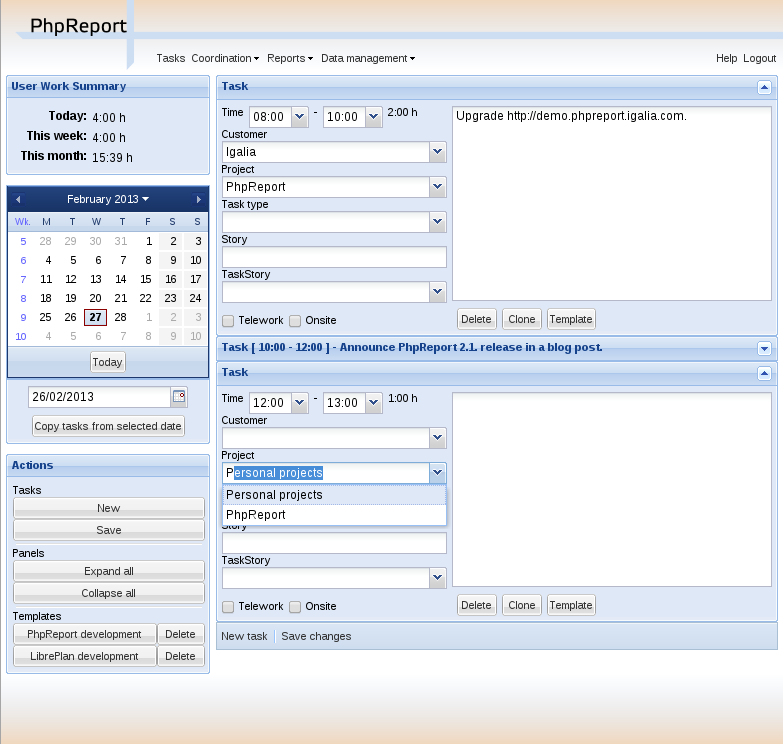 As it was advanced in a previous post, the list of tasks in the TODO for PhpReport 2.0 milestone was shrinking… now it’s finally complete, so I’ve made the 2.0 release available from PhpReport site. Written user documentation, integrated in the application. 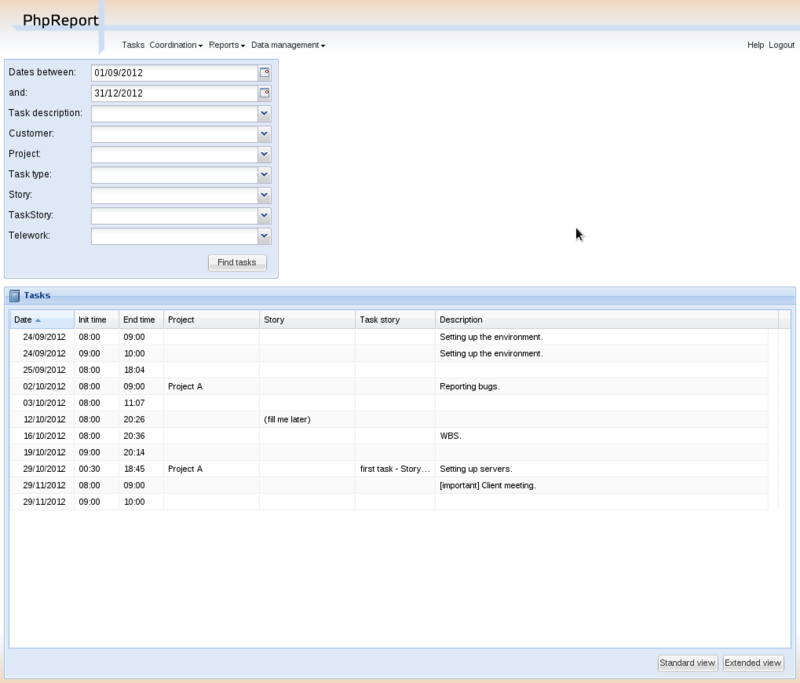 Implemented a screen to create, edit and delete hour compensations. Implemented a screen to create, edit and delete cities. Implemented a screen to manage work calendars. Upgraded Ext JS framework to the latest version in 3.x series, 3.4.0. Reviewed permissions of the admin/user groups on some screens and services. Reordered the menu bar, deleting the unused entries. [Bug #131] Correct authorization problem related with project creation. [Bug #136] Fix size of template creation and delete buttons. [Bug #155] Prevent wrong calculation of project deviation. 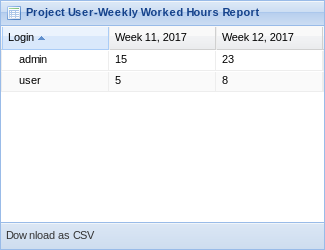 [Bug #161] Prevent blank project details screen due to a null end date. [Bug #168] Added holidays project to default installation. You can see the latest version of the application in action in the public demo site, as usual [EDIT: demo site not available any more]. I’m just publishing this announcement but I already have my mind in the future, with more features, fixes and improvements. The first steps are written in the new TODO. That’s all for now. Happy summer hacking! Screen to manage cities and calendars DONE! Screen to manage compensation of extra hours. DONE! Besides, there are bug fixes and usability improvements. All these changes can be seen in action in the public demo site [EDIT: demo site not available any more]. As you can see, there’s little left to do to announce the final 2.0 release. But that won’t be the end of the road, but a milestone to take breath and keep coding.